The DRDO has also developed two unmanned aerial vehicles - the Nishant tactical UAV and the Lakshya (Target) Pilotless Target Aircraft (PTA). The Lakshya PTA has been ordered by all three services for their gunnery target training requirements. Efforts are on to develop the PTA further, with an improved all digital flight control system, and a better turbojet engine. The Nishant is a hydraulically launched short-ranged UAV for the tactical battle area. It is currently being evaluated by the Indian Navy and the Indian Paramilitary forces as well. DRDO cooperates with the state owned Ordnance Factories Board for producing its items. These have led to issues of marginal quality control for some items, and time consuming rectification. Whilst these are common to the introduction of most new weapons systems, the OFB has had issues with maintaining the requisite schedule and quality of manufacture owing to their own structural problems and lack of modernization. The DRDO has played a vital role in the development of this ability since the role of private organizations in the development of small arms and similar items has been limited. A significant point in case is the INSAS rifle which has been adopted by the Indian Army as its standard battle rifle and is in extensive service. There have been issues with rifle quality in usage under extreme conditions in the heat, with the OFB stating that it will rectify these troubles with higher grade material and strengthening the unit. Prior troubles were also dealt with in a similar manner. In the meantime, the rifle has found favour throughout the army and has been ordered in number by other paramilitary units and police forces. In recent years, India's booming economy has allowed the OFB to modernize with more state funding coming its way, to the tune of US$400 million invested during 2002-07. The organization hopes that this will allow it to modernize its infrastructure; it has also begun introducing new items, including a variant of the AK-47 and reverse engineered versions of the Denel 14/20 mm anti-material rifles. ECM stations for both communication and non-com (radar etc.) systems. The Indian Army has ordered its Signal Corps to be a prime contributor in the design and development stage, along with the DRDO's DLRL. The scale of this venture is substantial - it comprises COMINT and Electronic intelligence stations which can monitor and jam different bands for both voice/data as well as radar transmissions. In contrast to other such systems, Samyukta is an integrated system, which can perform the most critical battlefield EW tasks in both COM and Non-COM roles. The system will be the first of its type in terms of its magnitude and capability in the Army. Its individual modules can also be operated independently. A follow on system known as Sauhard is under development. 3D Short Range Radar for the Indian Air Force - ASLESHA: The ASLESHA radars have a range of approximately 50 km against small fighter-sized targets and will be able to determine their range, speed, azimuth and height. This radar will enable the Indian Air Force Air Defence units to accurately track low level intruders. The radar is a semi-active phased array with a 1-metre square aperture. The DRDO was in discussions with the Indian Navy to mount these systems on small ships. Multi-mode radar, a 3D radar is a HAL project with DRDO's LRDE as a subsystem provider. This project to develop an advanced, lightweight Multi-mode fire control radar for the LCA Tejas fighter had faced challenges and was delayed and finally superseded by a program called the Uttam to develop an AESA FCR for the Tejas LCA. The MMR program was finally completed with Elta's (Israel) assistance and became a hybrid system incorporating the original DRDO antenna, gimbal stabilization and Israeli backend. The multi-mode radar has range (for detection of a small fighter target) around 100 km, can track 10 targets, can engage 2 targets and uses lightweight system. Originally, DRDO developed an all new combined signal and data processor had been developed, replacing the original separate units. The new unit is much more powerful and makes use of contemporary ADSP processors. The radar's critical hardware was also developed and validated. The software for the air-to-air mode has been developed considerably (including search and track while scan in both look up and look down modes) but air-to-ground modes were still being worked upon and proved problematic. The radar development was shown to be considerably more mature than previously thought but still faced significant delay and challenges. At Aero India 2009, it was revealed that the 3D MMR project has been superseded by the new 3D AESA FCR project led by LRDE. The MMR has been completed with Elta Israel's assistance and now involved Elta EL/M-2032 technology for Air-to-Ground mapping and targeting - in order to simplify testing, the Hybrid MMR basically became an Indian variant of the EL/M-2032 with an Indian antenna and gimbal system as Elta pointed out mixing and matching Indian hardware with Israeli software would in essence mean a new design with a significant time impact. The "hybrid" MMR has been tested, validated and will be supplied for the initial LCA Tejas fighters. Active Phased Array radar: a 3D radar for fighters, a MMR follow on, the APAR project aims to field a fully fledged operational AESA fire control radar for the expected Mark-2 version of the Light Combat Aircraft. This will be the second airborne AESA programme after the AEW&C project and intends to transfer the success DRDO has achieved in the ground based radar segment to airborne systems. The overall airborne APAR programme aims to prevent this technology gap from developing, with a broad based programme to bring DRDO up to par with international developers in airborne systems, both fire control and surveillance. As of 2016, the radar was still in development, with variants expected to be fielded on future IAF fighters like the MCA or Tejas advanced Marks. Ajeya upgrade (Sanskrit: Invincible): upgrade for the T-72 fleet, incorporating a mix of locally made and imported subsystems. 250 have been ordered. Local systems include the DRDO-developed ERA, a DRDO-developed laser warning system and combat net radio, the Bharat Electronics Limited advanced land navigation system consisting of fibre optic gyros and GPS, NBC protection and DRDO's fire detection and suppression system amongst other items. Imported systems include a compact thermal imager and fire control system and a new 1000 hp engine. Originally designed in response to a possible Pakistani acquisition of the M1 Abrams, the project fell into disfavour once it became clear that Pakistan was instead standardising on cheaper (and less capable) T type tanks . In such a milieu, acquiring the Arjun in huge numbers is simply unnecessary for the Indian Army, given the additional logistic costs of standardising on an entirely new type. 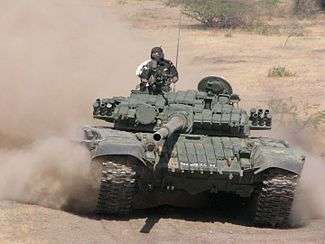 The Indian Army ordered 124 units in 2000 and an additional 124 units in 2010 and work on Mark-II version of the tank has commenced. Abhay IFV (Sanskrit: Fearless): an IFV design in prototype form. This IFV will have a 40 mm gun based on the proven Bofors L70 (Armour piercing and explosive rounds), a fire-control system derived from the Arjun MBT project with a thermal imager, all-electric turret and gun stabilisation, a locally designed FLAME launcher for locally manufactured Konkurs-M anti-tank missiles and an Indian diesel engine. The armour will be lightweight composite. The IGMDP was launched by the Indian Government to develop the ability to develop and design a missile locally, and manufacture a range of missile systems for the three defence services. The programme has seen significant success in its two most important constituents - the Agni missiles and the Prithvi missiles, while two other programmes, the Akash SAM and the anti-tank Nag Missile have seen significant orders. The Trishul missile, a programme to develop a tri-service short-range SAM faced persistent problems throughout its development, and was shut down in 2007. The Prithvi (Sanskrit: Earth) missiles are a range of SRBMs produced for the Indian Air Force and Army; a variant for the Navy has been deployed on Sukanya class patrol vessel. Another submarine-launched variant known as the K-15 is under development. The Prithvi is an extremely accurate liquid fuelled missile with a range of up to 350 km. While relatively inexpensive and accurate, with a good payload, its logistics footprint is high, on account of it being liquid fuelled. The Agni (Sanskrit: Fire) ballistic missiles are a range of MRBMs, IRBMs, ICBMs meant for long-range deterrence. The Agni-III is the newest version which is getting inducted into the armed forces and has range of up to 3,500 km (2,175 mi). The Agni-I and Agni-II have been productionised, although exact numbers remain classified. 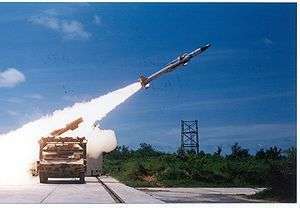 The Akash (Sanskrit: Sky or ether) is a medium-range surface-to-air missile system consisting of the command guidance ramjet powered Akash along with the dedicated service specific launchers, battery control radar (the Rajendra Block III), a central acquisition radar, battery and group control centres. The Akash project has yielded spinoffs like the Central Acquisition radar and weapon locating radar. The Indian Air Force placed an order for an additional six squadrons of the Akash SAM in 2010, with an order of 750 missiles (125 per squadron). This order makes a total of a 1000 Akash SAMs on order for the Indian Air Force for eight squadrons. In June 2010, the Defence Acquisition Council placed an order of the Akash missile system, valued at ₹12,500 crore (US$1.9 billion). Bharat Dynamics Limited will be the system integrator and nodal production agency for the Akash Army variant. The Trishul (Sanskrit: Trident) is a short range surface-to-air missile developed by India. It was developed by Defence Research and Development Organisation as a part of the Integrated Guided Missile Development Program. It can also be used as an anti-sea skimmer from a ship against low flying attacking missiles. Trishul has a range of 9 km (5.6 mi) It is powered by a dual thrust propulsion stage using high-energy solid propellant. Trishul weighs 130 kg (290 lb) and is capable of carrying a 15 kg (33 lb) warhead. 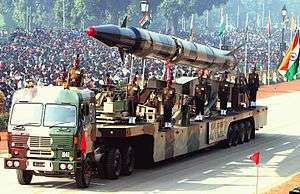 The Trishul missile project was commissioned in 1983 as a part of Integrated Guided Missile Development Program. The project was to be completed by 1992 and the missile would be fitted to Brahmaputra-class frigates as an anti-sea skimmer. In 1985, Trishul made its first unguided flight from Satish Dhawan Space Centre, Sriharikota. The missile made its first full range guided flight in 1989. In 1992, the missile was successfully tested against a target and reached Mach 2 speed. In 1997, the associated radar systems for detecting the incoming sea-skimmer were operational. The launch system was developed by Bharat Dynamics Limited in 1998. In 2003, Government of India announced that the missile will be a technology demonstrator and de-linked it from other projects. The missile was successfully test fired in 2005. 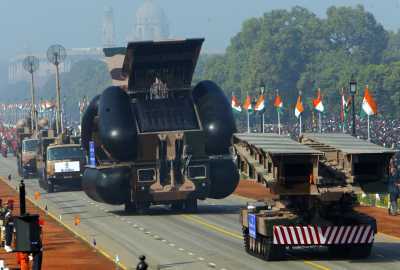 The development cost of the programme was ₹2.826 billion (US$42 million) and the Defence minister announced the official closure of the programme in 2008. The Nag Anti-tank missile (Sanskrit: Cobra) is a guided missile system intended for the Indian Air Force and the Indian Army. The Army will deploy the Nag on ground based launchers and from helicopters, whereas the Air Force will rely on helicopter based units. The Nag has an Imaging Infrared (IIR) seeker and has a top and direct attack capability, with a tandem warhead. The Army's land missile carrier and launcher, known as the Namica, carries several ready to use Nag missiles within and four Nag missiles in an extendable launcher above the turret. The Namica has its own FLIR based sighting and fire control unit. 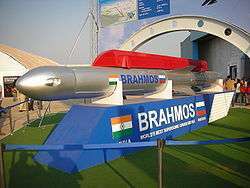 The hypersonic Brahmos 2 is to be developed as a follow on to the original Brahmos. The missile would still follow the guidelines of the MTCR but would fly at speeds of 5-7 Mach. The Shaurya missile (Sanskrit: Valor) is a canister-launched hypersonic surface-to-surface tactical missile developed by the Indian Defence Research and Development Organisation (DRDO) for use by the Indian Armed Forces. Similar to the BrahMos, Shaurya is stored in composite canisters, which makes it much easier to store for long periods without maintenance as well as to handle and transport. It also houses the gas generator to eject the missile from the canister before its solid propellant motors take over to hurl it at the intended target. India and Israel have worked out an agreement to develop and produce the long-range Barak 8 air defence system for both the Indian and the Israeli militaries. The initial co-development funding is about US$350 million, of which IAI will finance 50 per cent. The venture is a tripartite one, between the DRDO, the Indian Navy, and IAI. The missile is referred to as the LRSAM in Indian Government literature, and will have a range of 72 km (45 mi). Israel Aircraft Industries refers to the system as Barak-8. IAI states that the missile will have a dual pulse motor, is vertically launched and is able to engage both aircraft and sea skimming missiles. It has a fully active seeker, and the Barak-8 Weapons system is capable of multiple simultaneous engagements. It will have a two way datalink for midcourse update, as well as be able to integrate into larger C3I networks. The primary fire control sensor for the naval Barak-8/LRSAM will be the ELTA MF-STAR Naval AESA radar which Israel claims to be superior to many existing systems worldwide. The dual pulse rocket motor for the SAM was developed by DRDO, and the prototypes were supplied to IAI for integration with IAI systems to develop the complete missile. ↑ "About DRDO". gistconvention.org. Retrieved 2 July 2015. ↑ "India's Defence Budget 2011-12". indiastrategic.in. Retrieved 2 July 2015. ↑ "Dr S Christopher, Secretary Department of Defence R&D". ↑ "DRDO Scientist Job - DRDO Scientist B recruitment- Scientist recruitment DRDO". Retrieved 2 July 2015. ↑ John Pike. 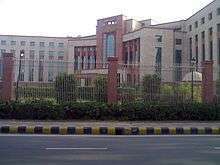 "Defence Research and Development Organisation (DRDO)". Globalsecurity.org. Retrieved 31 August 2010. ↑ "MoD Announces Major DRDO Restructuring Plan | Defence & Security News at DefenceTalk". Defencetalk.com. 17 May 2010. Retrieved 31 August 2010. ↑ "defence.professionals". defpro.com. Retrieved 31 August 2010. ↑ "LCA workcenters". Retrieved 30 November 2015. ↑ "Indian Army orders twelve Nishants". Intellibriefs.blogspot.com. 12 February 2005. Retrieved 31 August 2010. ↑ "Gallery of Dhruv, Nishant and armoured vehicles with detailed captions at". Acig.org. Retrieved 31 August 2010. ↑ "DRDO Rustom". DRDO. Retrieved 30 November 2015. ↑ "DRDO's Patent Technology Now With Pune Start-Up Firm". The Indian Express. Retrieved 26 January 2016. ↑ "Account Suspended". Retrieved 2 July 2015. ↑ "`Modernisation is a continuous process in OFB'". Flonnet.com. Retrieved 31 August 2010. ↑ "DEFEXPO 2004 - Part 5". Acig.org. Retrieved 31 August 2010. ↑ "INSAS rifle". Tribuneindia.com. 14 September 1998. Retrieved 31 August 2010. ↑ "Kitting them softly". The Indian Express. 6 August 2013. ↑ "US to sell DRDO's bomb detection kit". Hindustan times. 4 August 2013. ↑ "Defense19". Retrieved 2 July 2015. ↑ "Defence scientists plan artillery rockets with 100-km range". Hindu Business Line. 18 September 2005. Retrieved 31 August 2010. ↑ "Ordnance Factory Board". Ofbindia.gov.in. Retrieved 31 August 2010. 1 2 3 4 5 "ARMA". DRDO. Retrieved 31 August 2010. 1 2 "Indian Ordnance Factories: Ammunition, Explosives, Propellants & Chemicals". Ofbindia.gov.in. Retrieved 31 August 2010. ↑ "Indian President Abdul Kalam presenting a model of the Samyukta to the then Army chief, NC Vij at its induction ceremony". Retrieved 31 August 2010. 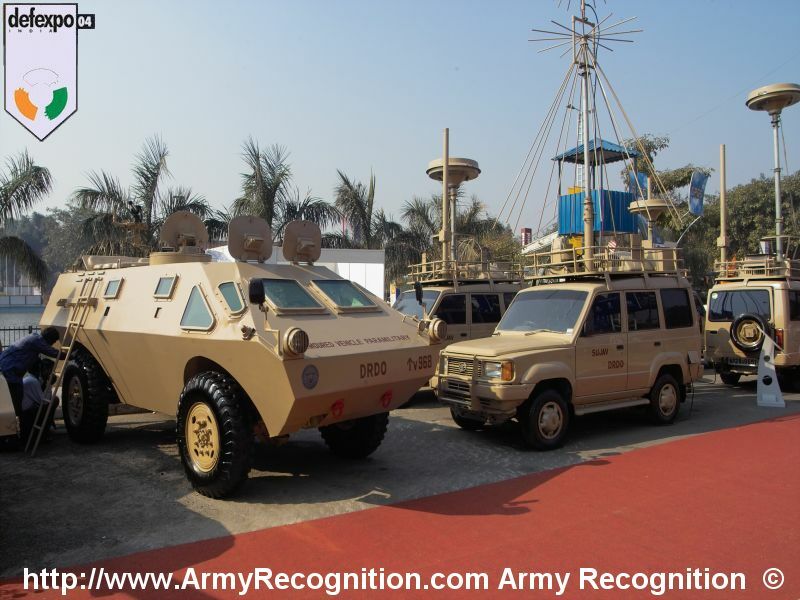 ↑ "Sujav System visible in the background, image copyright Army Recognition". Retrieved 31 August 2010. ↑ "Tarang RWR, image copyright acig.org". Retrieved 31 August 2010. ↑ "Areas of Work LRDE". 1 December 2014. Retrieved 24 March 2016. ↑ "JPEG image of the 3D CAR, image copyright Acig.org". Retrieved 31 August 2010. ↑ "IAF modernisation". Economictimes.indiatimes.com. 12 November 2008. Retrieved 31 August 2010. ↑ Source: (8 February 2005). "BFSR orders and export push". Finance.indiainfo.com. Retrieved 31 August 2010. ↑ "BEL to export anti-infiltration radar to Indonesia". Hinduonnet.com. 6 August 2007. Retrieved 31 August 2010. ↑ "Details of LRTR from 2004". Chennai, India: Hindu.com. 15 April 2005. Retrieved 31 August 2010. ↑ "LLLR Specifications". Media.bharat-rakshak.com. 18 January 2007. Retrieved 31 August 2010. ↑ "WLR prototype, image copyright Bharat Rakshak". Bharat-rakshak.com. 18 January 2007. Retrieved 31 August 2010. ↑ "Aircraft for AWACS to be chosen by the IAF". Blonnet.com. 25 January 2006. Retrieved 31 August 2010. ↑ "Report from 1995 on the initial PACE system". Hpcwire.com. 4 May 1995. Retrieved 31 August 2010. ↑ "ANUPAMA processor". Electronicsforu.com. Retrieved 31 August 2010. ↑ Press Trust of India / New Delhi 3 October 2005 (3 October 2005). "OFB manufacturing new 125 mm round from IMI". Business-standard.com. Retrieved 31 August 2010. 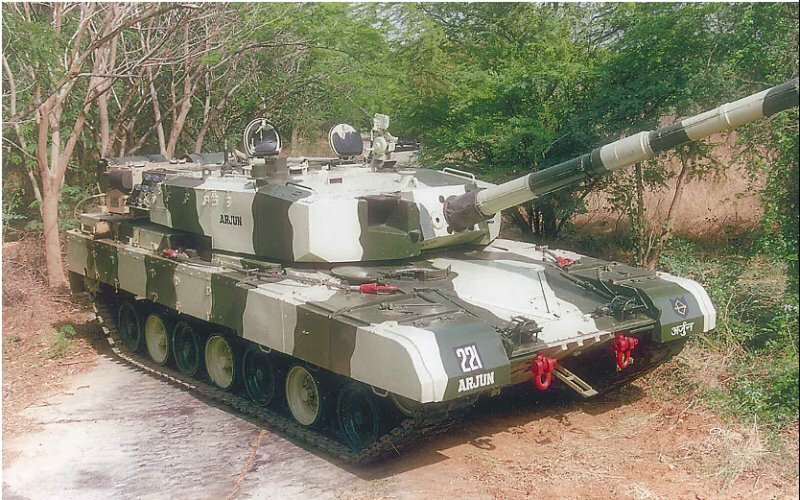 ↑ "A picture of the Arjun MBT". Retrieved 31 August 2010. ↑ "Gallery of armoured vehicles at". Acig.org. Retrieved 31 August 2010. ↑ "Press Information Bureau English Releases". Retrieved 2 July 2015. ↑ "AERV handed over to the Army". Blonnet.com. 14 November 2005. Retrieved 31 August 2010. 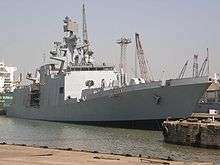 ↑ "The BLT Arjun followed by the AFFS, Image copyright Rediff.com". Retrieved 31 August 2010. ↑ "Complete text relating to the Sarvatra available at the Bharat Rakshak Monitor". Bharat-rakshak.com. Retrieved 31 August 2010. 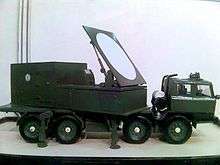 ↑ "Mobile robots for disposal of IEDs". The Times of India. 20 December 2011. Retrieved 20 December 2011. ↑ "ROV Development, Indian Defence Ministry press release from December 2006". Retrieved 2 July 2015. ↑ "DRDO in the process of developing robotic soldiers". The Times Of India. 6 July 2012. ↑ "Article on DRDO's NPOL". Hinduonnet.com. 28 February 2005. Retrieved 31 August 2010. ↑ "Article on DRDO's sonars". Hinduonnet.com. 30 December 2002. Retrieved 31 August 2010. ↑ "AEMs for Navy". The Hindu. Retrieved 2 July 2015. ↑ "NSTL's Heavy and lightweight electrically propelled torpedoes are under production". Chennai, India: Hindu.com. 8 November 2006. Retrieved 31 August 2010. ↑ Rahul Singh (7 September 2005). "Article on EMCCA". Timesofindia.indiatimes.com. Retrieved 31 August 2010. ↑ "India plans to test fire Agni 5, says scientific advisor to defence minister". The Times of India. Retrieved 2 July 2015. ↑ "Agni-V design completed; to be test-fired in 2010". Chennai, India: Hindu.com. 27 November 2008. Retrieved 31 August 2010. ↑ "DRDO plans to build reusable missiles". The Times Of India. 23 April 2012. ↑ Ajai Shukla (23 January 2008). "Missile mission meets target". Business-standard.com. Retrieved 31 August 2010. ↑ "Indian air force to induct indigenous SA missiles". News.xinhuanet.com. 27 December 2007. Retrieved 31 August 2010. ↑ "Akash missile". Retrieved 2 July 2015. ↑ "Missile boost for BEL". Business-standard.com. 3 February 2010. Retrieved 31 August 2010. 1 2 "About Trishul". DRDO. Retrieved 30 November 2015. ↑ "DRDO's Integrated Guided Missile Development Programme". ipcs.org. Retrieved 30 November 2015. 1 2 3 "Indian navy missile defence". indiadefencereview.com. Retrieved 30 November 2015. ↑ "India Successfully Tests Trishul Missile". spacewar.com. 8 December 2005. ↑ "Govt announces closure of work on Trishul missile". Times of India. 27 February 2008. ↑ "Trishul gets another lease of life". Timesofindia.indiatimes.com. 18 October 2006. Retrieved 31 August 2010. ↑ "Maitri LLQRM". Domain-b.com. 20 March 2007. Retrieved 31 August 2010. ↑ IANS (20 March 2003). "India seeks to boost military exports to Gulf". SiliconIndia.com. ↑ "BrahMos to roll out of Keltec unit in three years, hypersonic version under development". domain-b.com. 31 December 2007. Retrieved 31 August 2010. ↑ "The Hindu News Update Service". Chennai, India: Hindu.com. 28 January 2008. Retrieved 31 August 2010. ↑ PTI (31 December 2007). "Brahmos-2 to be inducted in five years- Politics/Nation-News-The Economic Times". Economictimes.indiatimes.com. Retrieved 31 August 2010. ↑ Mallikarjun, Y. (3 July 2011). "India all set to test new short-range tactical missile". The Hindu. Chennai, India. ↑ "India, Israel tie up on next-gen Barak missiles". Expressindia.com. 7 February 2006. Retrieved 31 August 2010. ↑ "Annual Reports of the Indian Ministry of Defence". Mod.nic.in. Retrieved 31 August 2010. ↑ "Israel Aerospace Industries Ltd". Iai.co.il. Retrieved 31 August 2010. ↑ "EL/M-2248 MF-STAR Naval Multi-Mission Radar". Defense-update.com. Retrieved 31 August 2010. ↑ "Barak-8 MR-SAM Programme". Defense-update.com. Retrieved 31 August 2010. ↑ 12-Nov-2009 17:03 EST (12 November 2009). "India & Israel Introducing MR-SAM". Defense Industry Daily. Retrieved 31 August 2010. ↑ "Defence Research and Development Organisation develops lightweight rocket launcher for Indian Army". ↑ "Sakaal Times". Sakaal Times. 7 April 2010. Retrieved 31 August 2010. ↑ "SahilOnline English News:: Rajdhani derails near Kolkata, sabotage not ruled out - Reflection of the TRUTH". Sahilonline.org. Retrieved 31 August 2010. ↑ "MACHINIST - DRDO launches Gas Turbine Enabling Technology Initiative [GATET] at GTRE". Machinist.in. 8 April 2010. Retrieved 31 August 2010. 1 2 "After Agni-V launch, DRDO's new target is anti-satellite weapons". The Times of India. Retrieved 31 July 2012. ↑ Rajat Pandit (25 May 2010). "India to gear up for 'star wars' - India - The Times of India". Timesofindia.indiatimes.com. Retrieved 31 August 2010. ↑ "India Making Strides in Satellite Technology". Defence News. Retrieved 26 July 2012.